Looking for entertainment for guests at a wedding next weekend, Saturday May 5. Playing from 530-6:30 pm at a hall in Vaughan. Are you available and what is your cost? Arriving on the music scene in the late 19th century, Mariachi Bands brought an upbeat yet traditional sound to Mexican culture. With a blend of guitars, violins, trumpets, the guitarron, and the vihuela, Mariachi music can truly liven up a party! The upbeat authentic Mexican folk music is the perfect accompaniment for wedding receptions, Cinco de Mayo parties, and so much more. 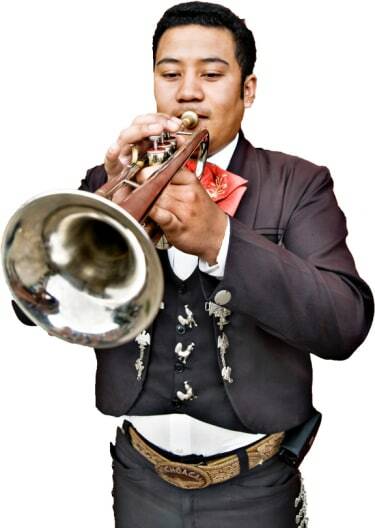 Search for Mariachi Bands in Vaughan, Ontario above. Please note that these Mariachi Bands may also travel to Fisherville, Concord, Willowdale, Thornhill, Black Creek Village, North York, York Mills, King City, Maple, Downsview, Weston, York, Leaside, Rexdale, Woodbridge, Kleinburg, Agincourt, Etobicoke, Scarborough Township, East York, Markham, Brimley, Scarborough Junction, Malton, Scarborough, Swansea, Nobleton, Scarborough, Scarborough, and Aurora.